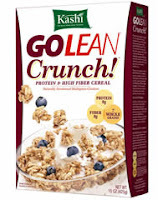 FREE Kashi Product Coupon at 10am EST! The first 1000 to sign up for Drop 10 Diet today at 10am EST will receive one of 1,000 coupons for a FREE Kashi product (up to $5 each)! Click here to get yours at 10.